Our tax reform debate seems to be stuck. Our federal fiscal system is skewed. What kind of a fiscal bargain can we strike to build a better tax system for the future? The federal fiscal bargain will always be a dynamic process. But we can re-set parts of our institutional framework to improve it. Here’s an idea: share income tax and GST revenues equally between the federal government and the states, replacing all other grants from the Commonwealth government. A new Intergovernmental Agreement would be needed and both state and federal governments would have a stake in future tax reforms for both income tax and GST. This would provide a clear budget constraint for the states, plus some more revenue. The revenues would be equalised across the country. Before we sign up, let’s fix up those tax bases. States and territories need to commit to reforming stamp duty and payroll tax. First, replace stamp duty with land tax. Second, expand payroll tax to cover all wages while lowering the rate. Stamp duties are the most inefficient tax. A broad-based land tax with a low flat rate is the least distorting and it can raise stable and substantial revenues to fund state services. Stamp duties are a barrier to the transfer of commercial and residential property and the most volatile of state revenue sources. The exemption of the owner-occupied home from land tax distorts housing supply, making housing less affordable. To make life simpler, state governments could put land tax and rates on the same return – and to fund transition, the extra revenue from Commonwealth income tax would help. Current payroll taxes exempt about half of all wages. A broad-based payroll tax with a low rate would remove distortions in business organisation and end the arbitrary thresholds that keep growing businesses small, as well simplifying national business activity. A tax rate of about 3% on a broad base could raise as much revenue as the current payroll tax. In future, the payroll tax could be collected through the Pay As You Go income tax system. States would keep all the revenue and could levy different rates if they chose, but crucially a single rate would have to apply to the harmonised base for each of payroll and land tax. Australia’s progressive income tax rates and transfer system is mostly fair and stable – and should stay under control of the federal government. Most importantly, the government should fix the high effective tax rates caused by interactions between income tax, family benefits and childcare payments. These contribute to keeping many women with young children out of the workforce or in part-time work. That in turn reduces their economic independence, retirement savings and lifetime well-being – as well as income tax revenues. The best solution is to provide for universal paid parental leave of at least six months for infants, and universal childcare for parents who are working or studying. This is also an investment in our children, for the future. It would largely replace existing family or child payments – at least after the very early childhood years. We must make sure that those who cannot find work, and single parents and their children, get adequate income support and are not left behind in poverty. And, yes, workers need an income tax cut. Our income tax thresholds need adjustment from time to time because of bracket creep as nominal wages rise with inflation. We should leave the tax-free threshold where it is, but the federal government can deliver an income tax cut focused on median and average wage earners – e.g. by adjusting the 19% or 32.5% tax rates down, or increasing the $80,000 threshold. Our superannuation and retirement pension system has served us well but provides perverse incentives now: excessively generous superannuation tax concessions for contributions, earnings and pay-outs, benefiting rich people the most, and steep effective tax rates for age pensioners on savings and earned income. It would be better to tax contributions at the worker’s marginal tax rate and to exempt earnings and pay-outs. But in transitioning to a new system, we need some tax on existing super savings which have benefited from generous concessions. For most workers, who will need at least a part age pension, we should apply a lower effective tax to earned income and to deemed income from assets, smoothing the tax scale. For other savings, we need a more coherent approach. Top income earners derive most capital gains and get the most benefit from negative gearing. We should limit deductibility of investment expenses to investment gains and income, and make the capital gains tax discount less generous. Finally, two proposals that are not so fashionable but are important for budget sustainability and prosperity. First, fix the GST by expanding the base. Its main purpose as our second-largest tax is to raise revenue. The GST is an essential element in our tax system and it has lots of holes. As well as covering digital downloads and e-commerce, we should apply GST to health, education, water and financial services. In the longer term we may need to increase the rate, say to 12.5%. Compensation is needed for welfare recipients and revenue should be used to help fund state tax reform, while also supporting cuts in personal income tax for moderate wage earners. Second, Australia needs to set a clear path on company tax in future. This issue is not going to go away. It is plausible that we should aim for a company tax rate of 25% in the next few years. This costs revenue and it must be accompanied by broadening the company tax base and tightening enforcement co-operatively with other countries. The Commonwealth government has an obligation to Australians to lead in shaping taxes for the national good. We can ensure budget sustainability by taxing a broader base – income, consumption and assets – more equally across the whole system. And we can re-set federal institutions with a new Intergovernmental Agreement to equally share income tax and GST, so that all governments in our federation are properly funded and accountable. The Conversation has asked 20 academics to examine the big ideas facing Australia for the 2016 federal election and beyond. The 20-piece series will examine, among others, the state of democracy, health, education, environment, equality, freedom of speech, federation and economic reform. 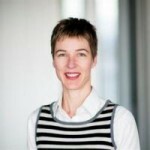 Professor Miranda Stewart is a Fellow at Tax and Transfer Policy Institute, and a Professor at Melbourne Law School, University of Melbourne. Miranda has 25 years of research, practical and leadership experience in taxation law and policy in academia, government and the private sector. She engages in research, policy advice and teaching across a wide range of tax policy and law design projects and sectors. Recent research addresses taxation of corporations; budget institutions; gender equality in the tax and transfer system; and resilience, legitimacy and effectiveness of tax systems and tax reform.